Have you ever thought how dull and lifeless your office is? If you wonder why productivity seems to be so hard to achieve, you better check your office surroundings. Needless to say, the place where you work at affects ones’ creativity and productivity. Having a comfortable, clean and peaceful place to plan, organize, direct and control your business will certainly affect how you do things. Accordingly, the building or environment you are in has a direct effect on what you do. If you haven’t applied this idea to your business, maybe it’s time for you to do so. And to help you with your goal, we have gathered this collection of office mockups for evaluating your designs. An office is where you can provide better services to your customers or clients. It’s where you and your powerful team meet, discuss and come up with marketing strategies that work with your business. In other words, an office is where you can foster creativity and encourage out-of-the-box ideas. Of course, we are talking about cleanness, coziness, organized and welcoming. In order to choose the best ambiance for your office, you can pick Office mockups that are free or the premium ones to help you test your designs. Whether you own your office or just renting, it’s always best to add your branding into it. Your logo and company name must be seen in the important spots of the building so people will think that you mean business. You should also add your slogans, business color scheme or any other designs that will represent you and your brand. In this list, you will see free office mockups and premium mockups to aid you with your evaluation. Thus, you can create a better place to work at, a cool way to impress a visitor and a great way to increase motivation. So, scroll through this list and see which you can grab for your office space. 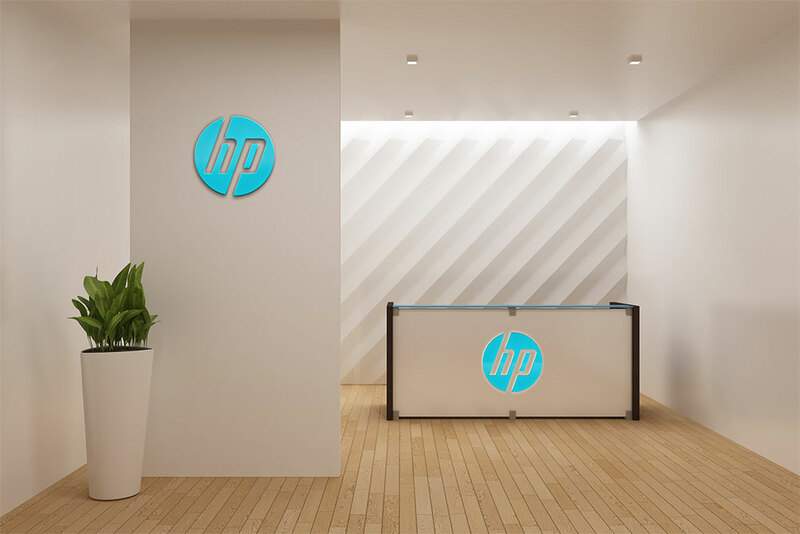 If you want to have a seamless logo for your office building, you should look for office mockups that will aid you in testing your logo. Since it plays a great role in your business, you should not lightly take the logo you place outside your office. It’s what people will see before they get into your store or buy your product. 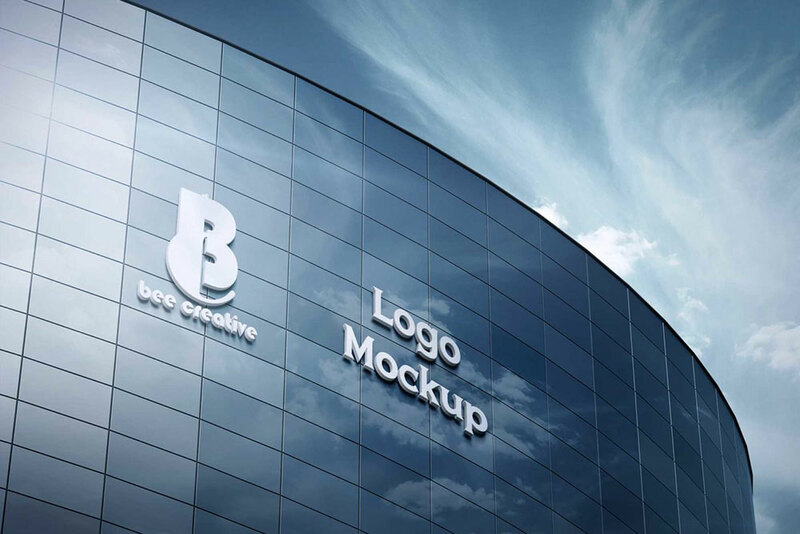 Here’s a Free Office Building Logo Mockup that you should download for the building logo presentation. It features a logo mounted on the top of the building. Just insert your logo on the smart object and it will reflect in the scene. If you’re running a business, I bet you already know how important a logo is. That’s why you can see almost all business, tries to have their logo outside their building and in their office interior walls. 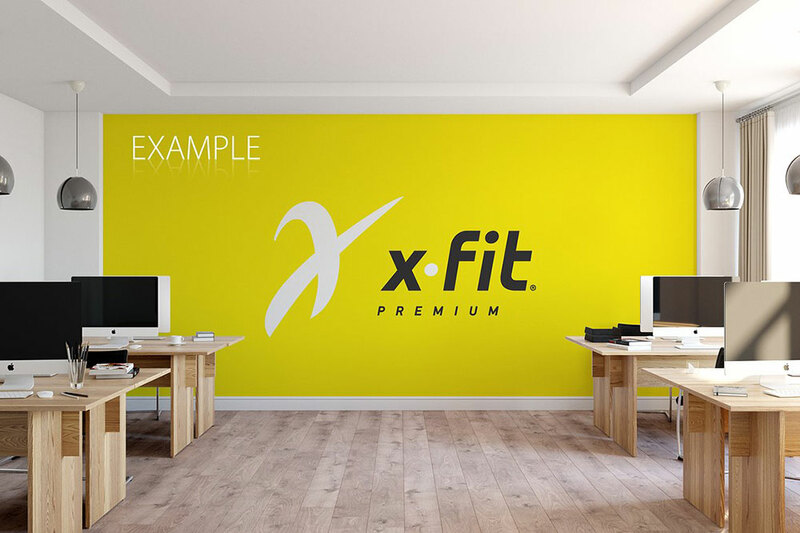 If you need to see your logo first before you apply it on the real scene, you can pick this Free Office Interior Wall Sign Mockup in PSD. This freebie contains two different scenes of office wall sign in PSD files – the indoor and outdoor signs. Each scene contains smart objects for easy design insertion. A creative and attractive sign helps your brand stand out. With such signage inside your office wall, you will have a good branding. So, prior to application, always make sure that your logo is seamless. To do that, you can grab office mockups and see if it’s perfect on your office wall. Here’s a Free 3D Office Wall Signage Logo Mockup with a cool and amazing shadow effect. Integrating your logo into the plain gray wall is made easy with the smart object layer. Signage plays important roles in your business’ marketing strategy. It draws attention to your promotions or conveys information about your business. So, as part of your marketing tool, always mount seamless signage outside your office building. And pick mockups that can help your logo fits well on the boxes. This Free Office Signage Mockup is ready to showcase your office signage in a clear, sleek and professional way. Featuring a square outdoor office signage attached near the window of an office will help you with your brand awareness campaign. As the mockup has the smart object, you can just save your artwork on that layer and voila! It will reflect in the signage in no time! First impressions can make or break your business’s credibility and authenticity. For most business, the reception area is where the client creates the first impression. Hence, your reception area should represent well your business. Of course, the logo should always be there placed wonderfully and elegantly. This mockup will serve as your guide to finalize your designs. 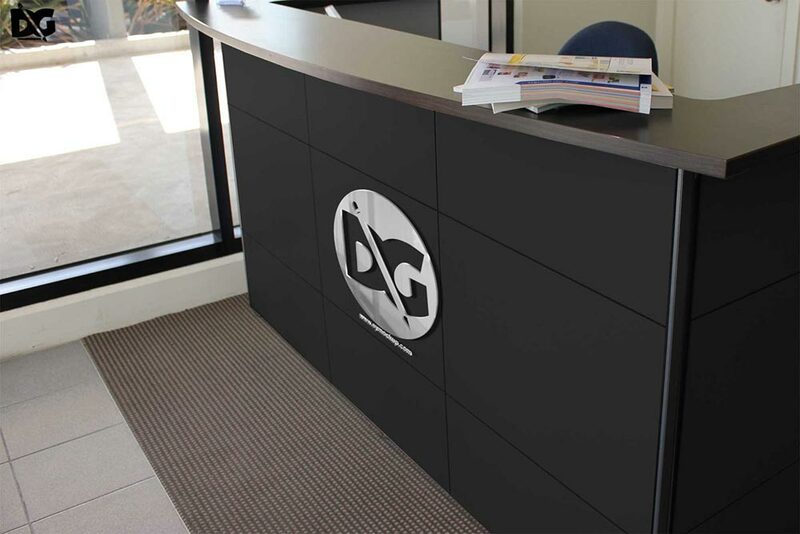 Here’s an Office Reception Logo Mockup that is ready to exhibit your logo on a reception table. Whatever type of logo you want to apply to the table, you can easily paste it on the smart object layer and you can start refining your designs to achieve a perfect result. If you think you need to redesign your logo outside your office wall, then this Free Office Wall Logo Mockup in PSD is beneficial for you. Now, you can see how your logo would look like if you apply it outside your building. Hence, placing the perfect structure of your logo will make an awesome branding. This mockup offers easy customization option as elements are placed in organized folders and layers. It also offers two types of sunbeam effects for a more creative and realistic logo presentation. It also allows adjustment of the brightness, hot color and contrast effects of this scene. Finding the best location for your business is crucial. You should consider the place where you will build your office. Nevertheless, you should not forget to mount professional and attention-grabbing office logo to help you build your brand. If you haven’t got the right resources to finalize your logo, you shouldn’t miss this 3D Office Logo Mockup in PSD. 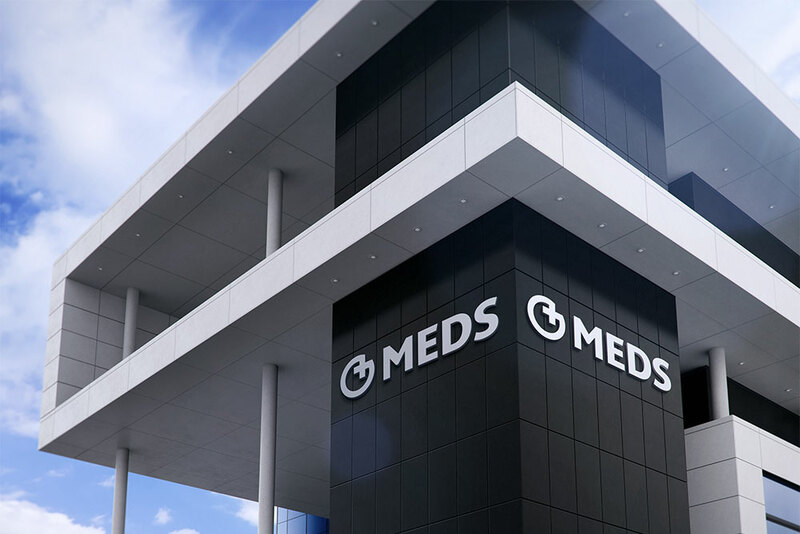 This pack has 10 ample scenes of logo presentation mounted on the building all in PSD files. All of the scenes are unique so you can pick two or more for a client presentation. It also offers easy customization of gradients, hue, saturation, brightness, and some other effects to achieve a realistic 3D look. One way to enhance the looks of an office interior is to add wonderful, creative posters containing your visions, missions or achievements. With the right, alluring posters posted on your office walls, you can gain credibility from your potential customers or anyone who visits your office. 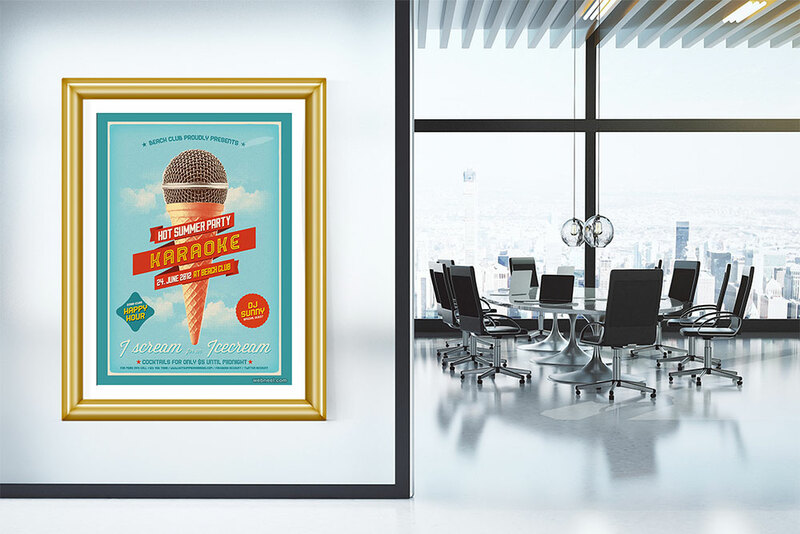 If you’re planning to install a poster soon, you can grab this Poster Presentation Mockup for Office Interior. This freebie offers different types of frames that you can utilize for your designs. You can opt for black, white, light wood, silver, black curled or gold frame options. Furthermore, you may choose to display your posters with ot without hangers. The office is where innovation and collaboration starts. So, adding life to it through minimal furniture, flawless logo, neat and organized surroundings can do so much to your creativity. 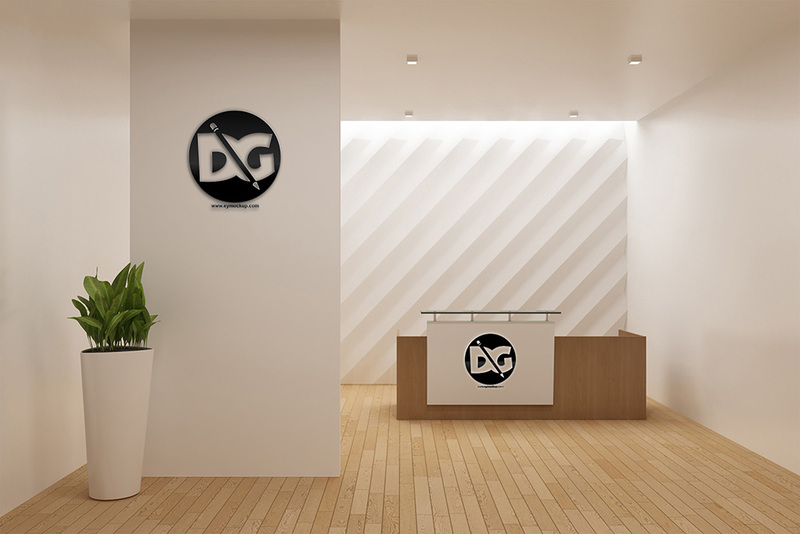 So, make your logo shine on your office wall and reception table with this Reception Desk Mockup in PSD. This is another fabulous, clean and very professional reception desk that any business could have. It features two distinct positions of the logo, one on the desk and the other on the wall. Once you save your artwork in the smart object, it’ll give you a nice and neat preview with 3D effect. Since the ambiance of your office contributes to the productivity of the workers, it would be nice and beneficial for your company to add a relaxing environment. You can add images, slogans or inspiring quotes that will represent your brand. 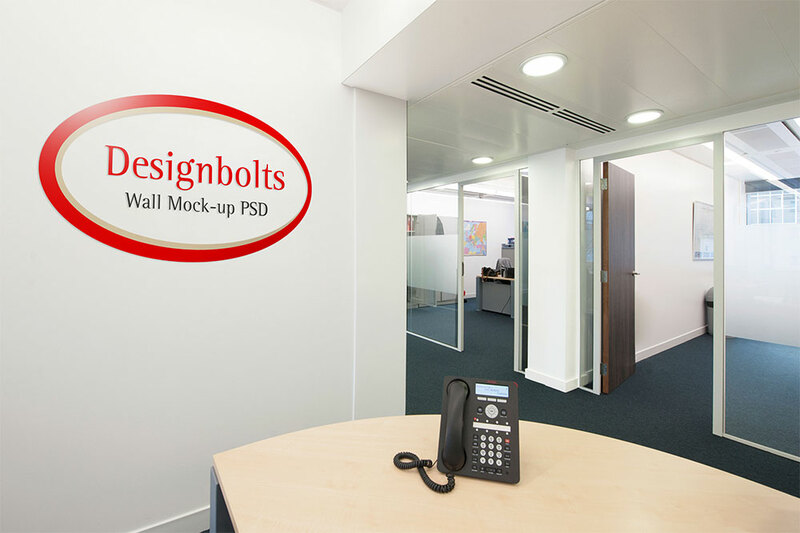 So, use this Free Office Wall Mockups in PSD to see if your artwork is ready or not. Apparently, this mockup has five various scenes of office interior walls. Just get your designs ready and place it in the smart object and you’re done! You will now have a clear and sleek preview of your designs. Having a good location of your business is a good start. Although you’ll invest time, money and effort building it, surely it will pay off. 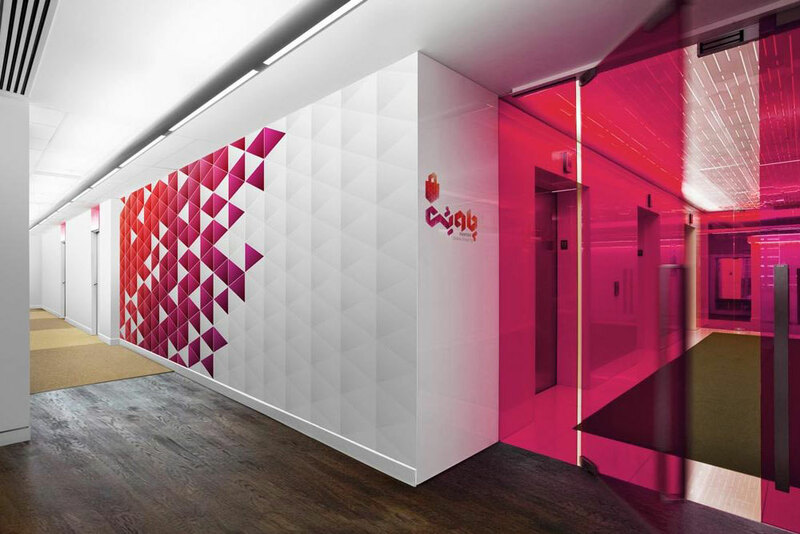 By adding your logo outside your office walls, you will have a grandeur exposure of your brand. If you’re planning to improve the design of your office logo, you must have this Free Office Logo Mockup in PSD. 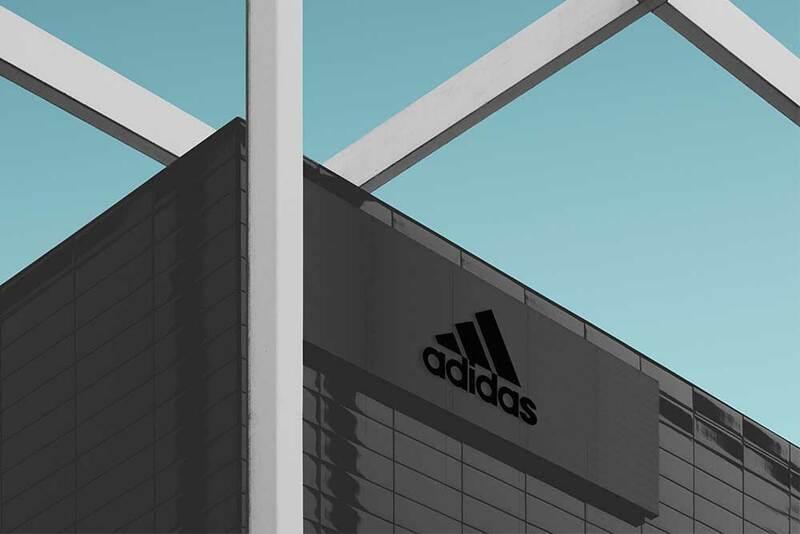 Featuring a logo on the building facade and an outdoor signage this mockup will be very useful for branding. Each of those elements has smart objects that make design integration very easy. Workers spend eight or more hours in work. Therefore, the environment where they work should be more relaxing and peaceful. So, as a business owner, see to it that they have the best space to do good in your business. If you’re planning to add frames and posters on the walls, you can choose the best through office mockups. 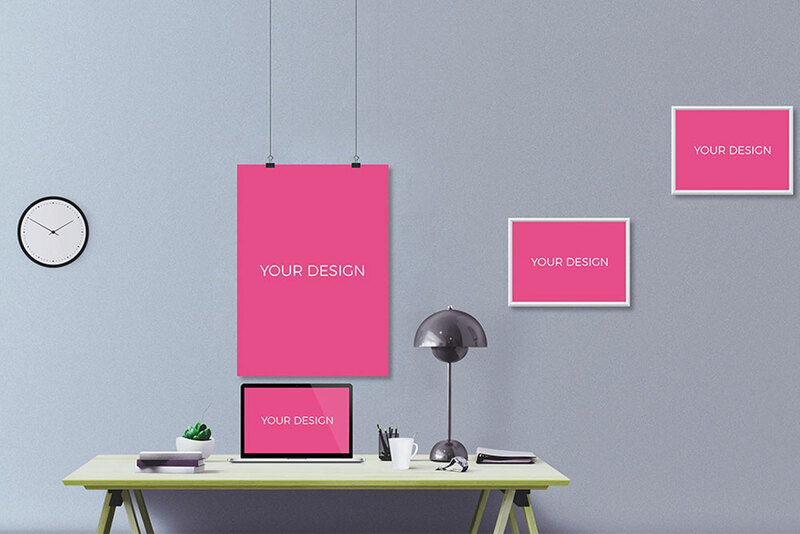 Here’s one that you can rely on Office Wall with Pink Frames PSD Mockup. As the name implies, this office scene gives you an easy way to showcase your frames and poster on the concrete gray wall along with a MacBook on the table. Apparently, you can integrate your own designs on the two frames, poster and MacBook via smart objects. Undeniably, working in a neat and organized environment will help relieve stress and enhance a clear thinking. So, no matter how small your business is, flourishing the office will help you enhance productivity among workers. 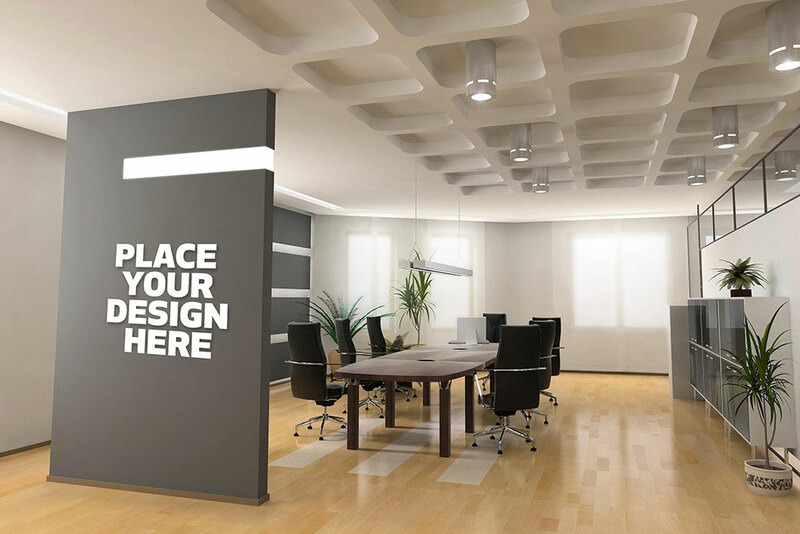 So, check out this Free Customizable Office Floor Wall Mockup for your next office redesign. This mockup lets you add your own artwork on the wall using smart objects that never fails to render a realistic preview. Regardless of what product or services you offer, having a clean and professional office and reception will influence a lot to your work attitude. And, never forget the impressions it will give to your potential customers or clients who unexpectedly visits your office. 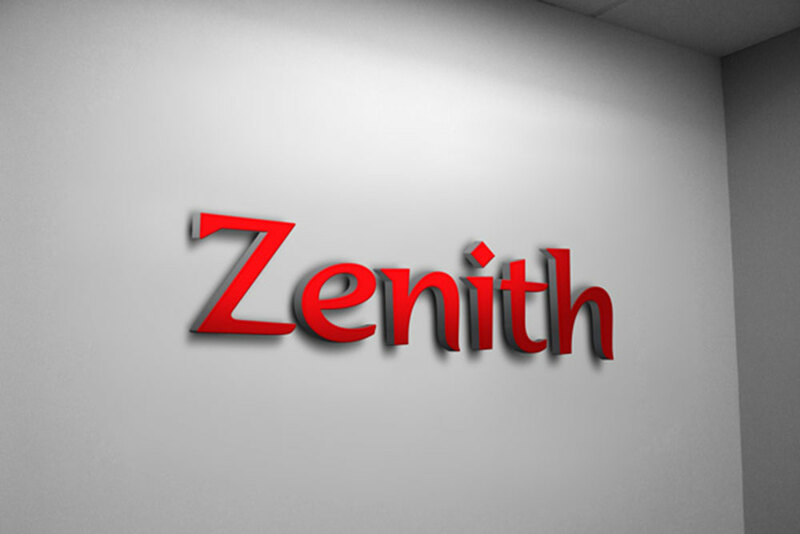 Here’s a Reception Signage Mockup to help you polish your logo on the office walls and reception table. Having a 3D appearance of your logo makes it even more interesting and adorable. This mockup lets you insert your own logo into the scene through the smart object. But it does not end there, it will also make a wonderful 3D effect of your logo too. 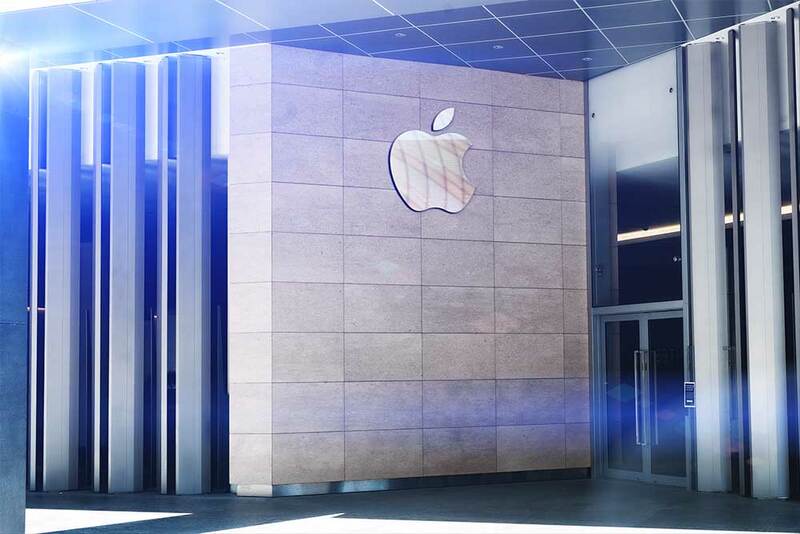 If you’ve just discovered how advantageous having a perfect logo outside your office building can contribute to brand awareness, you can still improve yours. Consequently, you’ll need some important tools to make the most of it before mounting your design. Here’s a Building Facade Logo Mockup that will give you ease in refining it. 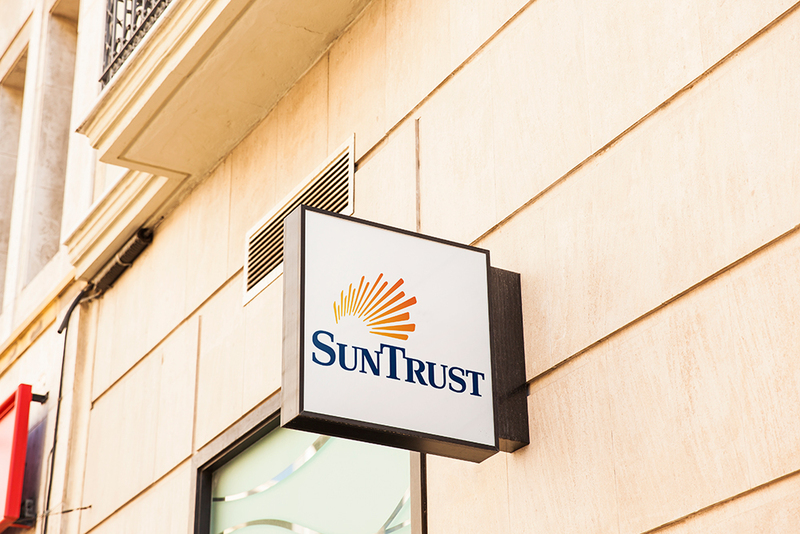 This mockup features a logo of a company displayed outside the building. Instead of displaying it in a flat design, once you add it on the smart object, it will have a perfect 3D effect. Your office will help you spread awareness. 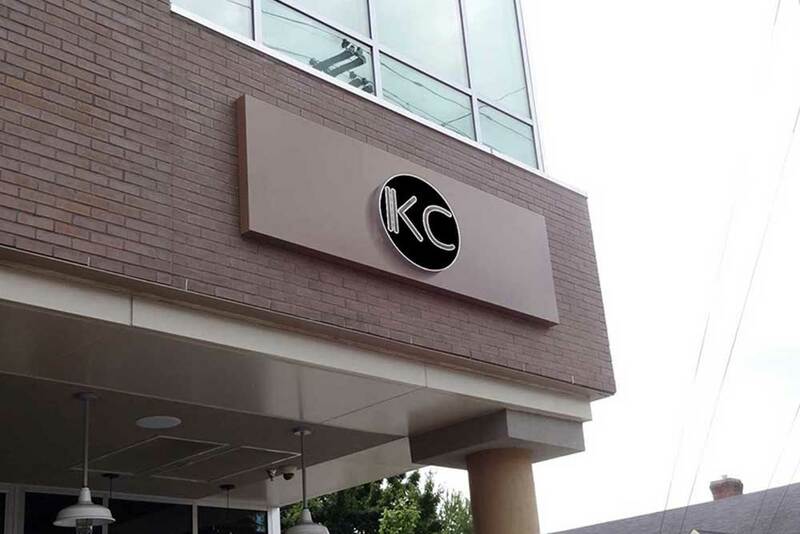 As long as you place your logo outside your building, people will get familiar with your brand. So, never miss the opportunity to install a seamless logo on your office building. Here’s one that you can utilize, a Store Facade Logo Mockup. 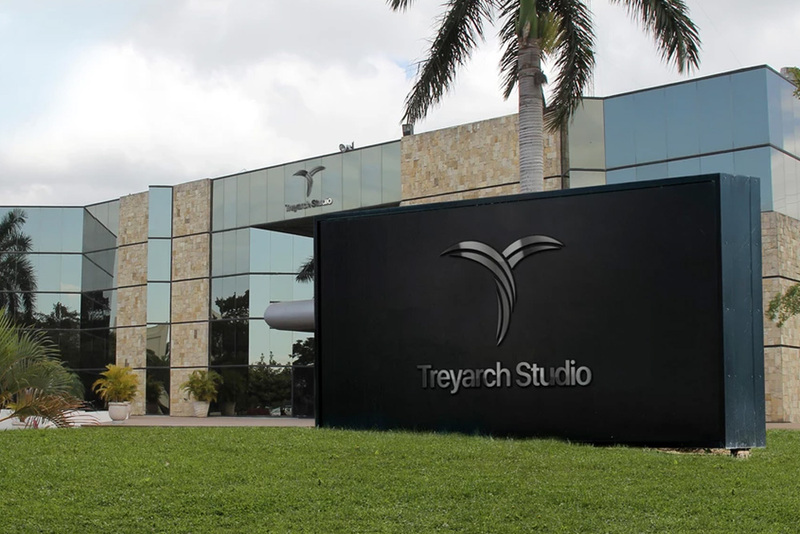 It features a building with a cool 3D logo on its facade. Now you can showcase your designs to a client without much difficulty with an awesome look of your logo. Minimalist designs always stand out. In websites, interior designs or even in an office environment, minimal designs never lose its sense. In order to give your client a cool presentation, you can opt for this Office Branding Mockup Volume 3. This mockup features a clean, minimalist office scene with two spots where you can place your branding. You can add your logo on the back and the other on the table via smart object and have an impressive branding presentation in just a few clicks. Although you can leave your office walls dull and boring, adding vibrant and attractive designs to it will never fail to impress a client, business partner or a potential customer. So, why not pick Office mockups to achieve a grandeur office wall appearance? 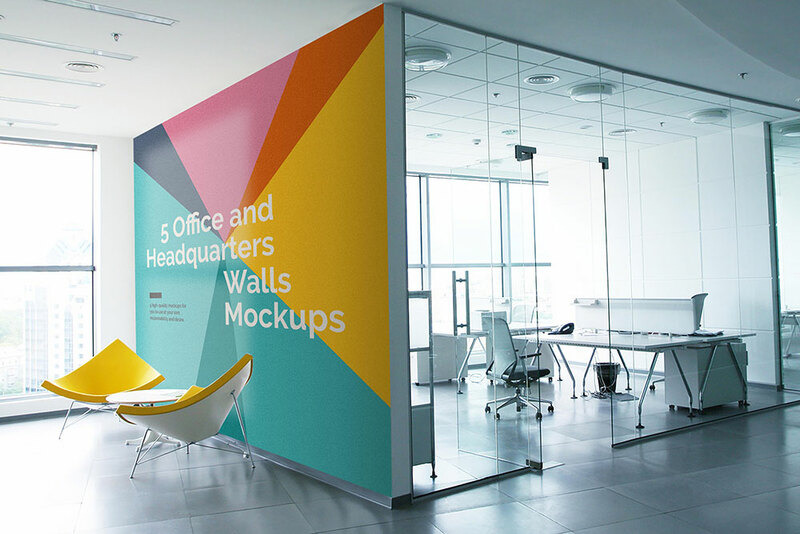 Check this Office Wall Mockup Bundle today and start planning how to implement such. The pack contains 10 amazing and professional office scenes perfect for exhibiting frames, photos, prints, wallpapers, patterns, colors on the walls, and other furnishings you want to add. By having this pack, I bet you won’t need any expertise for achieving a fantastic design, just a basic knowledge in Photoshop will do. Regardless of products or services your business offers, a beautiful, peaceful and organized office environment helps you get focused on your work. It freely contributes to your creativity and productivity. If in case you haven’t seen premium office mockups to offer you a cool presentation of your designs, you should see this Office Mockup Pack 1. It has four beautiful scenes of clean and minimal office design. You can add your logo or artwork on different wall types and on different spots. Editing won’t give you a headache as long as you can locate the elements that are properly named and organized. Just use the smart object for design integration and you’re good to go! It also offers photo filter feature for a more interesting presentation. The office of your business can say a lot about your brand. By adding your logo and your color scheme on the office walls, people will have a good perception of your business. Hence, making your office look simple yet elegant will clearly represent what kind of business you offer. This Office Mockups Bundle will help you formulate ideas on how to do your branding in an office without getting too much exaggeration. With this mockup, now you can create striking and eye-catching wall designs that will help your brand gain professionalism and prominence. It comes with 10 in different scenes and sizes too. An office is considered a service center of any business. Aside from that, it also serves as an effective proof of existence, giving your business more added credibility and professionalism. 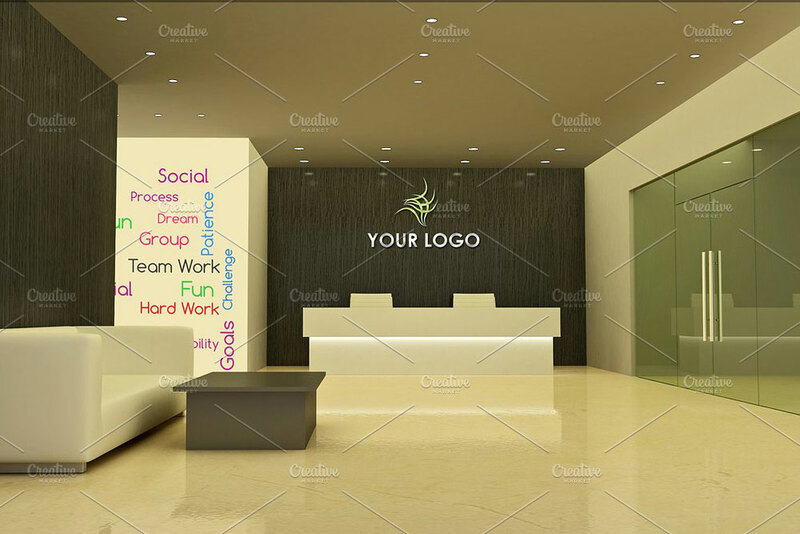 If in case you haven’t enhanced the look of your office, you can use this Office Branding Mockup 2. Here’s another clear and straightforward way of displaying your artwork. 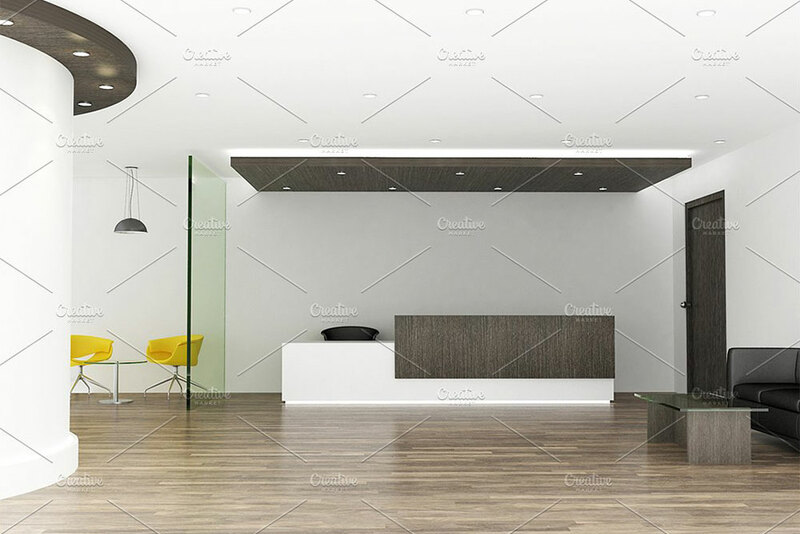 This mockup features a simple office interior with minimal appearance where you can exhibit your design in the two different spots – logo on the back wall and another artwork on the left wall. Check this useful and majestic office mockup for your business. Spectacular and grandeur designs of office walls not just add beauty to the surroundings but gives a relaxing or calming effect to the people surrounding it. So, why not entertain your visitors or client with how your business started and how it becomes as it is on the present? Here’s a Wall Combo Mockup that you can use for that. This pack has two PSD files that offer distinct office scenes for your branding or office interior design. The first one lets you add two wall mockups – left and right; while the other offer exposures of your design on the left, center, right wall, and right wall accent color. Posters, when placed and used properly, can be your most effective tool in promoting your brand. With an out-of-the-box design added to your posters will make your office more attractive. It would even make people marvel how your business has become successful. So, here’s an Office Branding Poster Mockup that’s best to use for your design presentations. 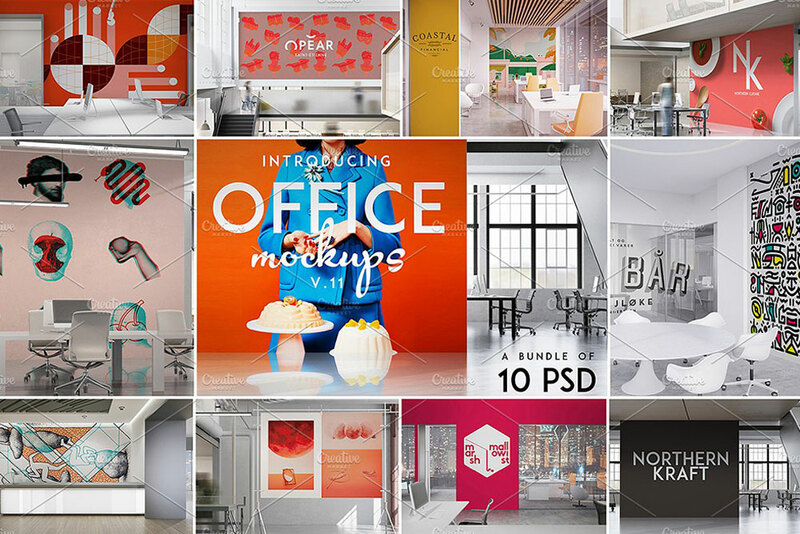 This pack contains 9 awesome scenes of office branding. It can be used for decorating your wall and windows of the office. It offers a cool preview of what will be your design look like when applied to the real scenario.